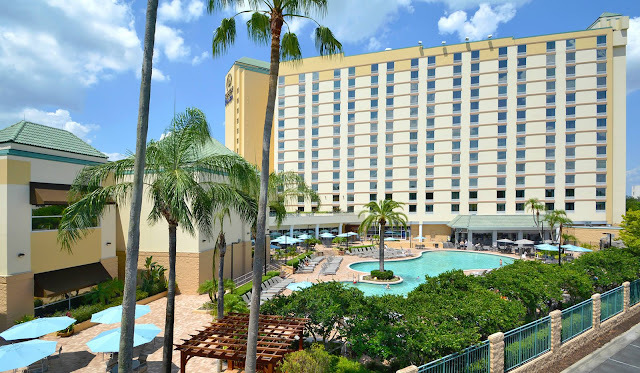 Located at the crossroads of convenience and distinction, Rosen Plaza® is Orlando’s unforgettable choice for families to connect, couples to retreat and groups to discover their collaborative spirit. Across from the shops and restaurants of Pointe Orlando, this 14-story hotel is within 4 miles of SeaWorld and Universal, and within 8 miles of Disney Springs® Area. Guestrooms feature classic decor, premium bedding, and antique-style furnishings. Amenities include 27-inch flat-panel TVs with premium cable channels, high-speed Internet access, and in-room safes.